Please can someone confirm download ethernet speeds on new RPi 3B+ with program speedtest-cli? I have tested the new RPi 3B+ over a fresh install latest raspbian and official PSU raspberry pi and good SD card A1 class. The performance on download speeds from internet is about 40 Mbit/s but my ISP is 200 Mbit/s and on my old Rpi3B I obtain 80 Mbit/s download speed. I believe is a problem with kernel driver.I hope is not a related hardware problem. "So, it seems that there is still some issue (hopefully it’s driver related) to the Ethernet controller, which seems to give up lots of packets in high-bandwidth situations. I am however pretty confident that the foundation will solve this issue, as it’s not uncommon that hardware performances get dramatic improvements as software gets tuned up after community feedbacks." Mine is exactly the same, the best i got is 43 ~ 44 down and the same up. have tested everything and a little more. I have not noticed any problems with wire connection speed, reports the same speed as my pi2B and pi3B of around the 70-74mb/s which is correct for my up 70Mb/s broadband. If you run speedtest-cli from the office, you get about 97Mbit, whether running on a Pi or PC. But I assume that there's something to prevent one client in the office hogging up all the traffic or there's a 100mbit switch in the way somewhere. Thanks to people for sharing. My ISP is 200 Mbit/s download speed and 20 Mbit/s upload speed. Ethernet card RPi3B+ on Raspbian release date:2018-03-13 works better on 10/100 mode than on 10/100/1000. The speedtest-cli command is the network engineer’s best friend. You can run this command remotely, from the command line, on any Linux host without having to gain access to the browser of a remote workstation. To conclude, use iperf for internal and advanced bandwidth measurements and speedtest for getting an estimate of download and upload speeds. Raspberry Pi 3 B+: lan78xx does not work with upstream kernel? Can all this a driver problem? Is not firmware version on RPi3B+. Please people test yours RPi3B+ with speedtest-cli and submit the results. This thread is about bad download speeds from Internet, speedtest-cli is better tool for this measurement. With regard to the upstream stuff, we have made some changes to the Lan78xx driver for our particular use case, so is not quite the same as upstream. Router has an external IP and NAT2 on local network. Cat6 Ethernet cable from Pi3B+ to router. No heatsink or fan, enclosed in an old SB components plastic case. Cooled by a Flirc Gen2 case. Numbers are close enough to be considered margin of error, so I'm getting the same performance from each as far as Internet goes. 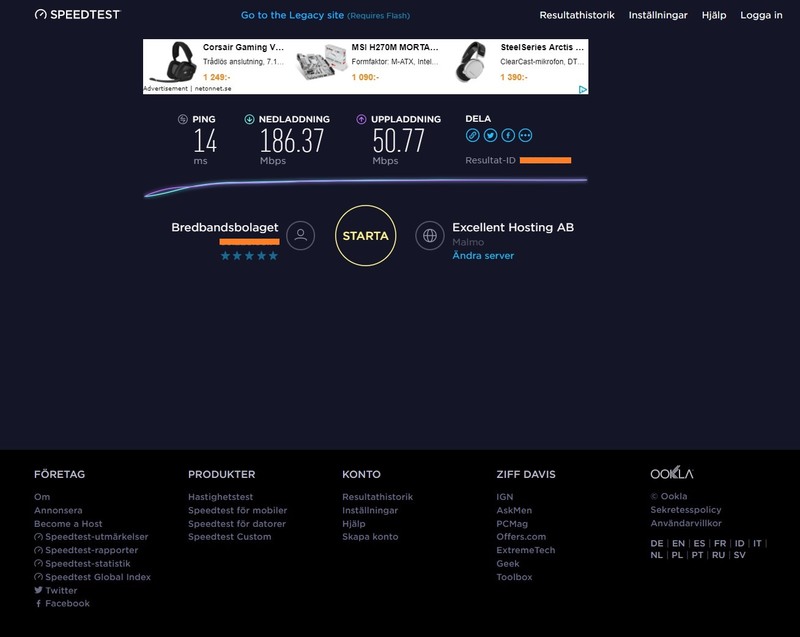 However, my Internet speed is only 100Mbit, so I would not expect to see an big difference with the 3B+ (and I didn't). On the other hand, I'm not getting worse performance either. Testing from R Cable y Telecomunicaciones Galicia, S.A. I can't up the interface eth0 in speed 1000 duplex half. Seems like those problems are relating to running a different kernel. Everyone in that link is running a newer kernel, except one guy to reverted back the the default kernel and said it fixed his problem. Maybe this could be a case of duplex mismatch? Setting the speed like that often causes issues. By fixing the config you disabke auto negotiation which means the other end doesn't know how to configure itself, this usually means the other end switches to half duplex mode. Having a mismatch like that can lead to collisions and all sorts of other issues. I've had to re-educate plenty of server admins about that in the past when they've complained about the network, switch back to the default option and all is fast again. As an aside I've also see the effects recently with a 3B+. I've been playing with pxe boot on it and had to fix the speed on the switch for the Poe splitter (only connects two pairs through so gigabit negotiation fails), with the switch set to 100/full it faiks to boot properly as the pi comes up in 100/half duplex, setting the switch to 100/half works better. It seems speed 1000 duplex half is a not valid mode to gigabit ethernets cards. Tested on mi big PC and on my Asus Tinkerboard both with gigabit ethernet cards and in both the ethernet card goes down and is not possible to up until must do speed 1000 duplex full. Here a comparison speedtest-cli with my Tinkerboard running latest Tinker-OS 2.0.5 and conected exactly the same way like my RPi3B+ to the router. On my RPI3B+ the gigabit ethernet card led changes from orange in 1000 mode to green on 100 mode. This seems to be ok and implies that gigabit card is recognized for the system like gigabit card and can switch modes. They're testing two different things. speedtest-cli can also fool you - have you tried different servers ? I have tested an usb hub usb 3.0 with gigabit ethernet adapter Kensington brand. lsmod reports ax88179_178a kernel module. The onboard RPi3B+ gigabit ethernet performed a little better but in this test is down. I only want understand this weird behaviour on my gigabit ethernet adapter. I have submited a lot of information to solve or understand the problem and in my opinion iperf test is not sufficient to know the global performance of an ethernet adapter. My case is very clear example and the ZaGOn user have the same problem like me. How you can explain better peformance on 100 mode than on 1000 mode? speedtest-cli is very accurate.I run it at least 4 times and results are consistent over my others PC. Only mi RPI3B+ have this extrange behaviour on gigabit speeds. Do you read the full post? Last edited by RPIgoodSBC on Fri Mar 23, 2018 11:19 pm, edited 1 time in total. We can see that I can up over 100 Mbit/s on usb gigabit ethernet card ( 130.99 Mbit/s ) on linaro system and the behaviour on 100 mode and 1000 mode is right. On Linaro 1000 mode have better performance than 100 mode to the same usb gigabit adapter not like on Raspbian 2018-03-13. 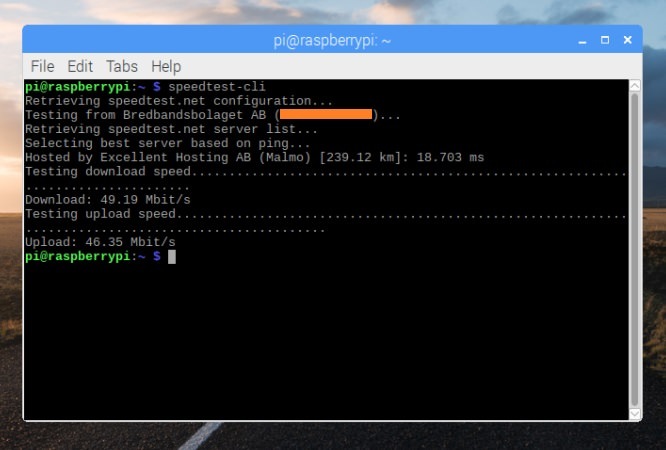 On Raspbian only on 100 mode go about 80 Mbit/s and in 1000 mode 40 Mbit/s over usb or internal ethernet adapter. In my opinion something is wrong about gigabit ethernet adapter on Raspbian 2018-03-13. I was able to get 191Mbit/s with Raspbian Stretch 2018-03-13 on my new Pi 3B+. So more than 100Mbit/s, but laptop gets 386Mbit/s on same switch with speedtest-cli (400 down, 20 up connection). Thanks but is no an ethernet cable problem. My cable cat-5e can do iperf bandwith 226 Mbits/sec. I have runned all test with cat5e cable and I have probed another cat6 and another cat5e. Raspbian is latest version and I have probed rpi-update latest firmware too with same results. My tinkerboard with the same cable on the same net on the same router port can achieve 180 Mbits/sec. This implies that mi gigabit etehernet card RPi3B+ can achieve gigabits speeds and iperf use the 100 and 1000 modes gigabit card ok. But for any misterious reason I can not do more than 80 Mbits/sec speed download on speedtest-cli.I tried a lot of servers and default servers are the best.I have tested with online web pages test velocity and the same results then is not speedtest-cli problem. This is ilogical because 1000 duplex full performance must be higher than 100 duplex full. I don't know, but is clear that leds on my ethernet gigabit RPi3B+ card works properly and can achieve gigabits speeds on iperf tests. is a very common net configuration and works without isues in all my hardware but now not on my new RPi3B+ about download speeds from internet. I have tested the RPi3B+ directly to only mi CISCO ISP router without the TP-link and the results are the same then is not a TP-link router problem with gigabit ethernet card RPi3B+. Something related to ipv4 versus ipv6 on some ISP? But I have disabled ipv6 totally on config.txt and in /etc/modprobe.d/ipv6.conf and the problem persist with or without ipv6 enabled. Last edited by RPIgoodSBC on Sat Mar 24, 2018 11:59 am, edited 1 time in total.